We live and breathe soil. Organic yards and gardens are what get us out of bed in the morning. 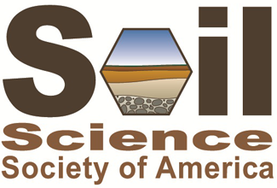 So where else would we turn for the latest and most comprehensive research on soil science but the Soil Science Society of America? Their membership is made up of soil scientists, researchers, college professors, agricultural specialists— and us! And those soil science experts give us all the information we need on soil physics, chemistry, biology, water management, urban soils, fertilizer and more. We joined the Soil Science Society of America to better understand how to treat soil, fix soil, and maintain soil. So when it comes to offering our customers in west Michigan healthier and improved soil conditions, we’re learning from and working with the most knowledgeable soil experts in the world.